Telstra’s (ASX:TLS) profits from both continuing and discontinued operations tumbled by almost 33 per cent, or $1.9 billion, to $3.9 billion for the year ending June, compared to the telco’s previous year’s results, which came in at $5.8 billion. At the same time, the publicly-listed company’s revenue from continuing and discontinued operations fell by roughly 2.7 per cent, or $725 million, to $26 billion, compared to the previous year. Much of the fall in overall profit, however, was down to the absence of the profit from discontinued operations the company included in its figures for the financial year ending 2016, which added around $2 billion to its topline tally. The drop in net profit stems largely from Telstra’s decision mid-last year to sell off a 47.7 per cent stake in Chinese online business, Autohome, for around $2.1 billion to Ping An Insurance Group, and the final sale of its remaining stake in the company for $282 million in February this year. Not including the change in profit registered from discontinued operations, however, Telstra’s profit from the year from continuing operations rose slightly, to $3.9 billion. Overall, the company reported annual earnings before interest, tax, depreciation and amortisation (EBITDA) of $10.7 billion, representing a two per cent rise on last year, off the back of $26 billion in total revenue. During the year, Telstra’s total full time staff and equivalents (FTE) decreased by 4.1 per cent or 1,366 to 32,293. At the same time, redundancy costs increased by 88.6 per cent or $147 million as a result of an increased focus on accelerating restructuring activity relating to the company's productivity programs. Also during the year, Telstra delivered revenue growth in excess of 30 per cent from Network Applications and Services on the back of major contract wins and strong performances from nbn commercial works, managed network services, unified communications and cloud. Network applications and services are playing an increasingly prominent role in the company’s balance book as the telco landscape evolves. Telstra CEO, Andrew Penn, said 2017 had been a strong year regardless a highly competitive and dynamic market. “We are seeing new entrants into both mobile and fixed as well as pricing pressure in all sectors through price reductions, value enhancements and increased data allowances,” Penn said. “Digital disruption is continuing to accelerate, not just for us but also for our customers, and we are entering a significant point in the transformation of the telecommunications market with the nbn rollout reaching scale. “We reported in May 2016 that the expected negative effect of the nbn rollout on Telstra’s EBITDA would be in the range of $2-3 billion," he said. According to Penn, given the latest outlook of nbn's Connectivity Virtual Circuit (CVC) charges, which Telstra estimates will more than double over the coming years, the company now expects the impact is likely to be at the top end of the given range - around $3 billion. “These dynamics confirm why we believe our vision is the right vision, why our strategy is the right strategy. However, they also confirm why we must increase the speed of our transformation," he said. In the face of these factors, the company is seeing positive movement in its global enterprise and services business, with the segment reporting income of $6.3 billion, up by around 1.6 per cent from the previous year’s figure. 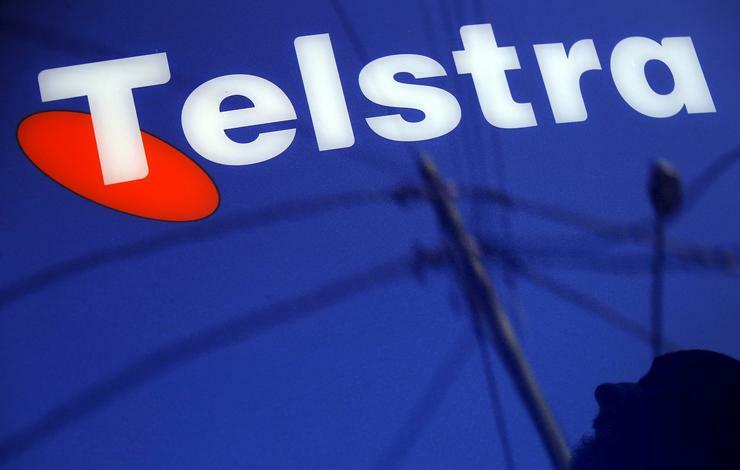 By comparison, Telstra’s wholesale business claimed $2.8 billion in income for the year. Telstra's enterprise business is responsible for providing services to thousands of enterprise, government and international wholesale customers. During the year, Telstra signed or renewed a number of significant contracts with enterprise customers. This included the extension of its decade-long technology partnership with NAB to provide whole-of-business services for a three-year period, and supplying integrated cloud solutions to one of Australia’s major supermarket chains. The company also won a $243 million 10-year deal with the Department of Foreign Affairs and Trade to provide global Wide Area Network infrastructure across 157 sites. Meanwhile, the company's Network Applications and Services (NAS) business segment revenue grew by 30.6 per cent during the year, to $3.4 billion, with continued double digit growth largely due to increased commercial works for nbn, and an expansion in professional services and hardware sales. Industry solutions revenue growth of 66 per cent was driven by nbn and other commercial works, while cloud services growth of 50.2 per cent was bolstered by consulting professional services, key acquisitions and growth in hardware sales, the company said. “Importantly we also delivered against our improvement target in the EBITDA margin for Network Applications and Services of three per cent,” Penn said. “We have also made significant acquisitions in applications and services such as Company85 and Cognevo this year, and Kloud and Readify last financial year. “In cyber-security we already have more than 500 cyber security experts and we will shortly be opening our new security operation centres in Melbourne and Sydney with others to follow internationally,” he said.